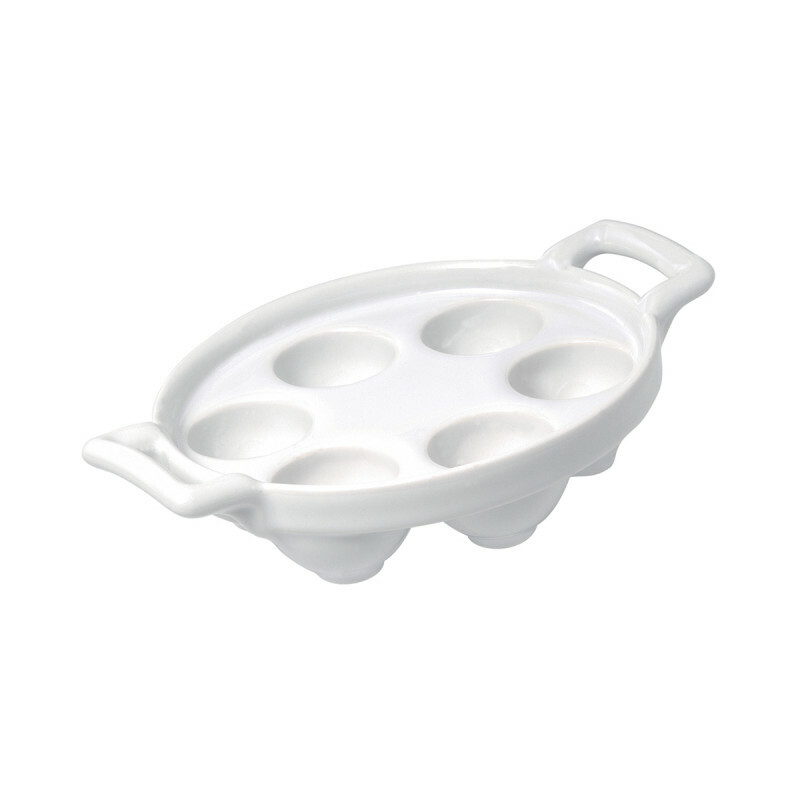 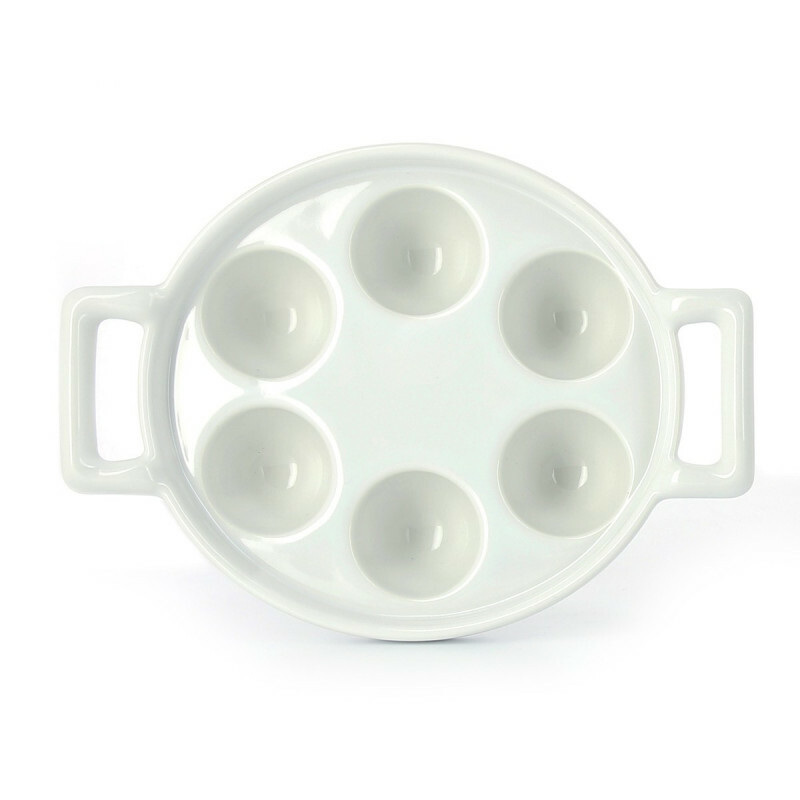 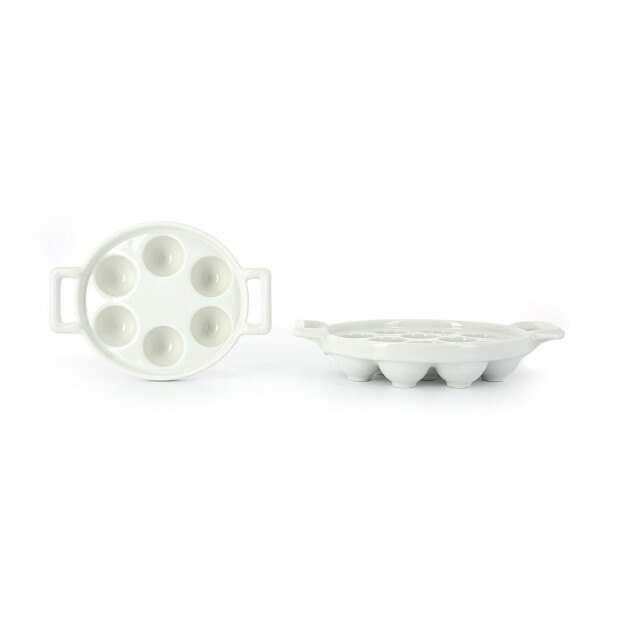 If you are looking for the prefect escargot dish for baking and serving: durable, light, easy to wash, oven and microwave safe, sturdy and elegant… you will be pleased with this Belle cuisine escargot holder! 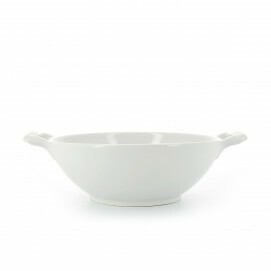 Use this specialty pan to bake snails with or without their shell with some garlic, parsley and a lot of butter which you can put in the White butter pot French Classique or in the butter bulter, in the Elisabeth's every days essential collection. 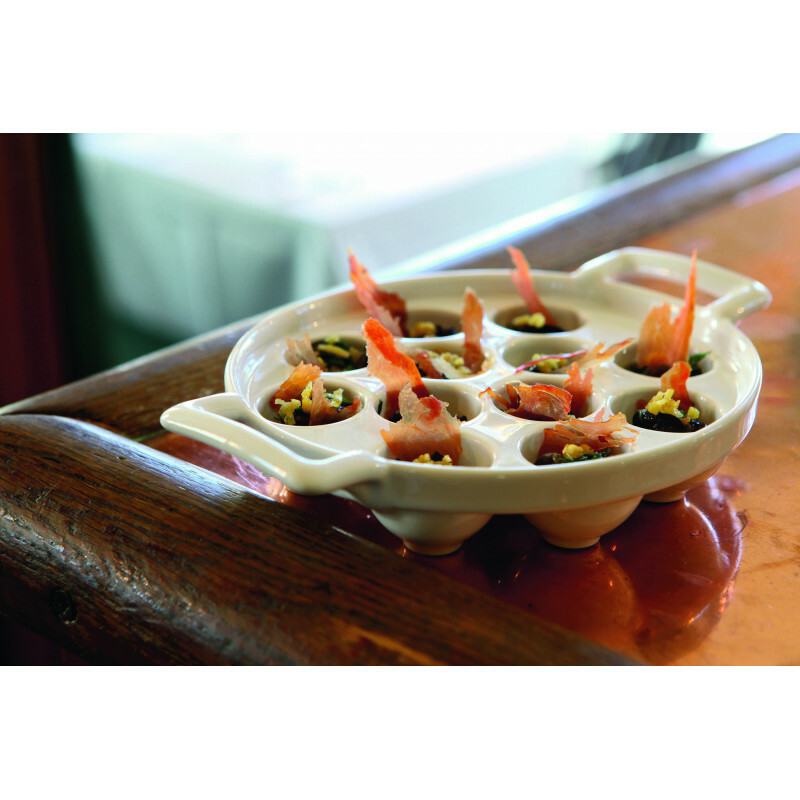 This is the most traditional way to make the “escargots a la Bourguignonne”! 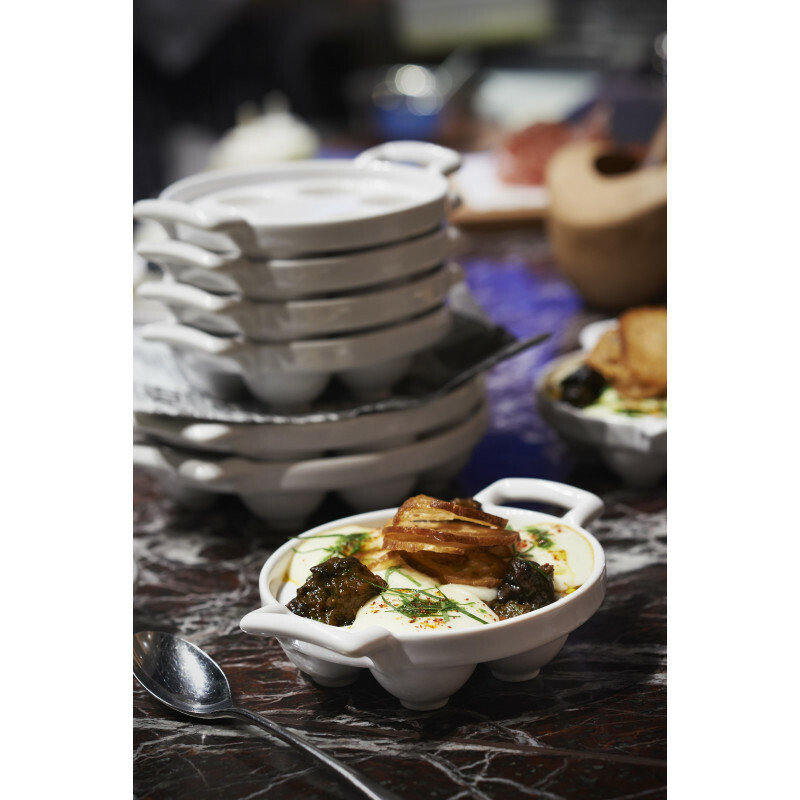 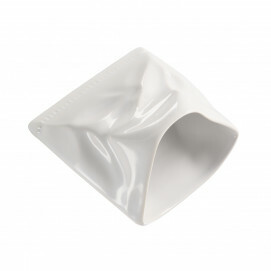 Porcelain holds the heat for a longer time so your food will stay warm during your meal. 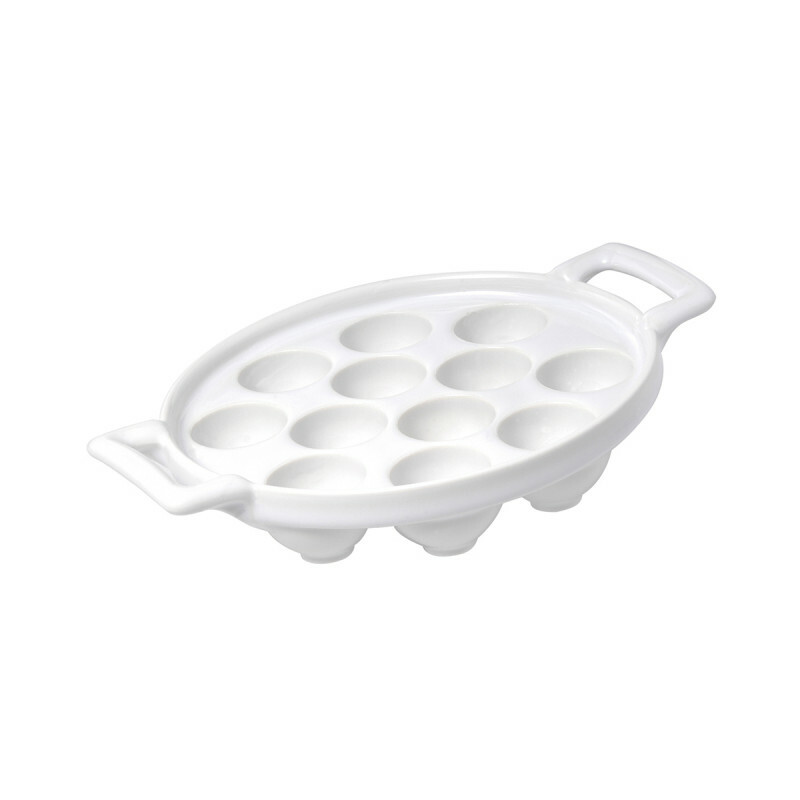 Enjoy this classic French dish with 6 or 12 holes. 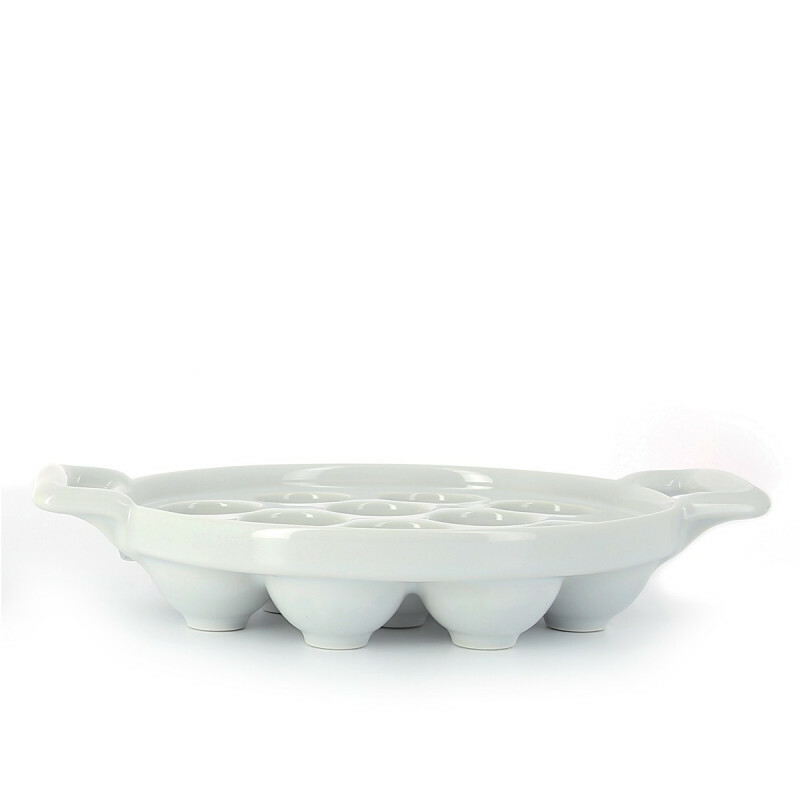 SERVING SUGGESTIONS: Prepare, bake and serve snails.